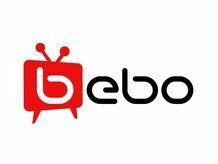 Bebo is the latest service to join the space race today. The social-networking site is to blast a whole host of messages and pictures into the stratosphere and beyond, in the hope that someday something out there will pick up the messages. The communications were chosen through a competition on the site. Called A Message From Earth, Bebo users had to send in images and messages that they felt would best reflect life on Earth. Something TechRadar informed you about in August. In the end, 501 messages were chosen, which are to be beamed into space today via a giant radio-telescope in Ukraine. The satellite was originally made by the Soviet Union to track asteroids. Even though the messages will take under two seconds to reach the moon, they won't land at their intended destination – the planet Gliese 581C – until 2029. They will have travelled around 129 trillion miles. Speaking to the BBC about the space mission, Mark Charkin of Bebo said: "A Message From Earth presents an opportunity for the digital natives of today… to reconnect with science and the wider universe in a simple, fun and immersive way."